 At Mike Squirrell Physiotherapy, we have fixed thousands of people’s physical problems from all walks of life and from many levels of physical performance from weekend warriors to professional athletes. After several years of injury plagued running I was referred to Mike – who got me back running again, stronger and more importantly faster than before. I have now had two injury free years and would recommend his treatments to anyone who is serious about their sport. “I was recommended to Mike after generally feeling unwell; I started to see Mike regularly always with different problems, emotional and physical and he always made me feel 100% better. I trust Mike completely”. Having suffered with my back and neck following the birth of my daughter and a botched epidural, I had tremendous pain for over a year and too many times found myself unable to walk or get out of bed. I went to see numerous doctors and chiropractors but nothing helped until I met Mike Squirrel. Mike was recommended to me by my pilates teacher and words cannot describe how much he helped me. His physio technique combined with a fully comprehensive holistic approach worked magic on my injuries. To be able to get up that first day from the treatment table and walk out of his office free from pain was mind-blowing as he was the first and only person to truly help me and he did this without mind altering drugs and rough pushing and pulling. He is quite simply a miracle healer in every sense of the word and I would urge anybody with muscular or skeletal pain to seek him out as he really can make a difference to your entire quality of life. I have undertaken rehabilitation therapy with Cuong in respect of two knee injuries and throughout enjoyed a great support and encouragement from him. Cuong’s rehab program successfully strengthened my knee and targeted the imbalance in muscles that were a key part of my problem. I went to see Cuong after 2 separate netball injuries over the past year. He was excellent and ensured that I could get better whilst still playing as much as possible. The treatment and rehab were comprehensive and Cuong is very professional and friendly, wtih the rehab exercises well explained. I have already recommended him to several of my friends! I went to see Cuong Lu with acute back pain which I believe was from a fall where I slipped on a plastic bag on a rainy day and fell straight onto my hip. About a week or so later, I was in complete agony and neither sitting or standing made any difference to the pain that I was experiencing in my back.. it just hurt and I was worried that I had done something very serious to it because of the extent of the pain! I was referred to Cuong by my GP and was fortunate enough to have had two appointments with him, two days before going away skiing for two weeks. During the sessions, Cuong spent some time listening to me and asked me to move in different directions to try to understand why I was in so much pain and why my movement was restricted. He explained that what I was experiencing was that of a bruised disc. He manipulated my back/body to help relieve this pain and also advised me on what exercises would be most beneficial to do, in my own time. I did go skiing and found that the pain had eased considerably by the beginning of my trip to having absolute no pain by the middle of the 2nd week. I was able to ski everyday which was something I am sure would not have been possible had I not seen Cuong.